The forests of East Gippsland are both vast and full of variety. From coastal banksia, warm and cool temperate rainforests, dry sclerophyll eucalypt forests on ridgetops to the ancient wet forests found on the Errinundra plateau, this region is floristically diverse. 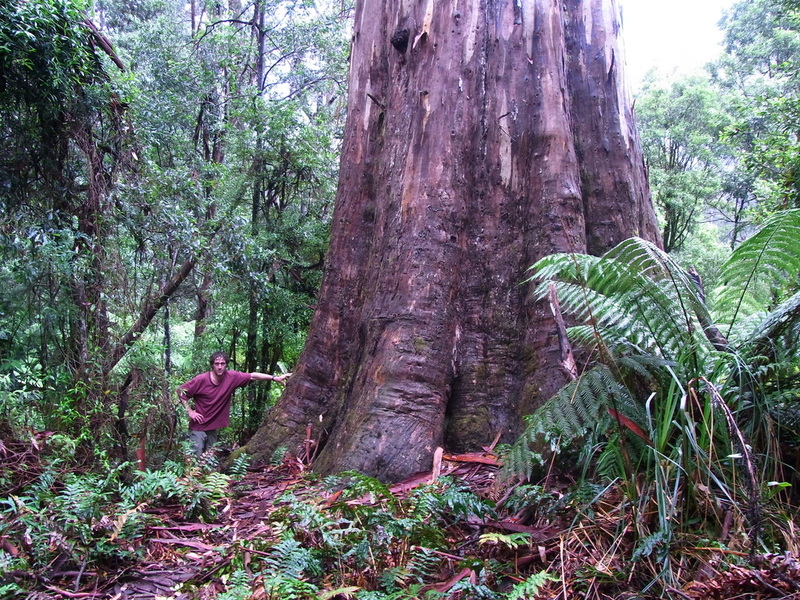 Interestingly,the largest known trees are not mountain ash - this honour goes to a large Mountain Grey Gum growing at Ellery Camp and an Errinundra Shining Gum, Eucalyptus denticulata, near Result Creek. The giant mountain grey gum, Eucalyptus cypellocarpa, at Ellery Camp. This tree is 13.2m girth and 55m tall. 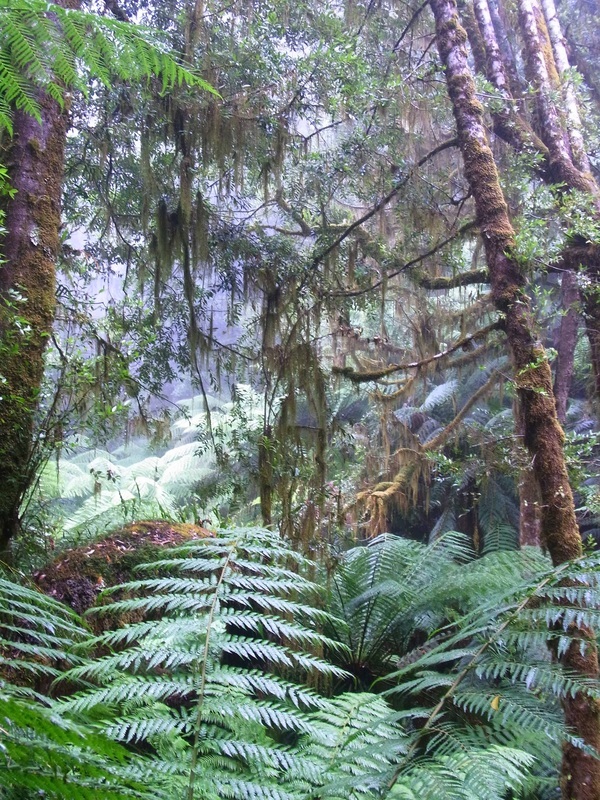 It backs onto a stunning cool temperate rainforest gully (below) consisting of southern sassafras, Antherosperma moschatum and soft tree ferns, Dicksonia antarctica. 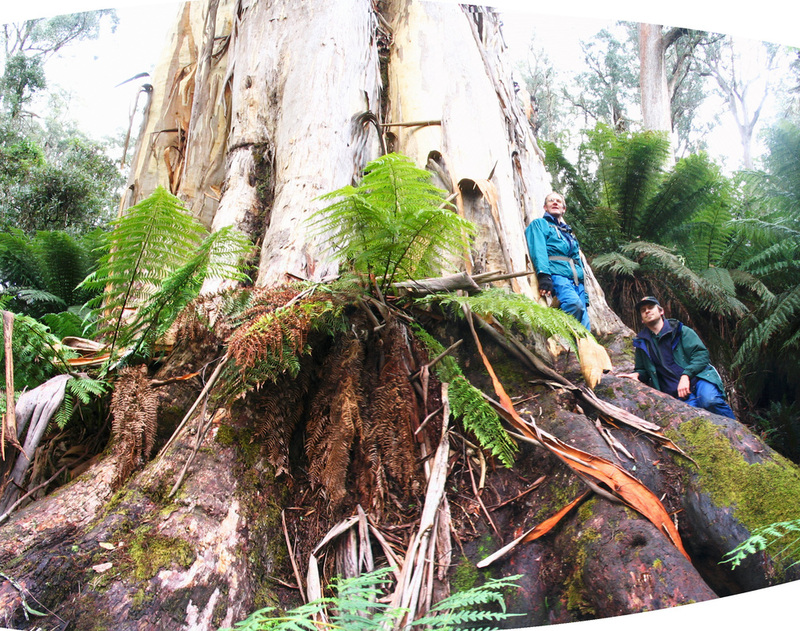 The huge base of 'Darejo', Eucalyptus denticulata, is 14.3m in girth- This species was previously thought to be restricted to East Gippsland, however, it is now known to be common in the Central Highlands at altitudes above 900m, especially around the Baw Baw Ranges.